Don’t live your life on Instagram? Oh, right. Well, in case you didn’t know, this week is Monterey Car Week and, over the years it’s been transformed from a relatively small-scale (albeit prestigious) gathering of exotic automobiles to one of the motoring calendar’s most unmissable extravaganzas. Manufacturers now seemingly queue up to launch elaborate concept vehicles at the various Californian congregations. However, Aston Martin has gone one step better, unveiling two additions to the limited edition Vanquish Zagato family: a sleek Speedster and the Shooting Brake. 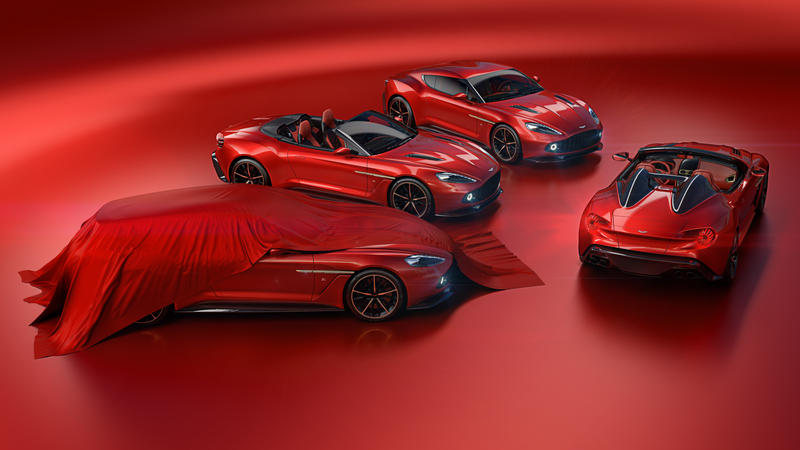 Joining the Coupe and Volante versions (the latter debuted at Pebble Beach last year), the Aston Martin Vanquish Zagato Speedster and Shooting Brake expands AM’s current Zagato line-up to four, with a total of just 325 examples across the quartet set to be built. Of this, the Coupe, Volante and Shooting Brake will be limited to 99 each, while the new Zagato Speedster is the rarest, with just 28 cars set to be produced (all of which are already sold out ahead of their expected delivery sometime in 2018). Based on the Aston Martin Vanquish S, the two new Zagato variants get the Vanquish’s screaming 600hp V12 engine, paired to AM’s Touchtronic III gearbox. The duo also get bespoke adaptive suspension, fine-tuned to each respective model. However, for once, the focus isn’t purely on the driving experience. 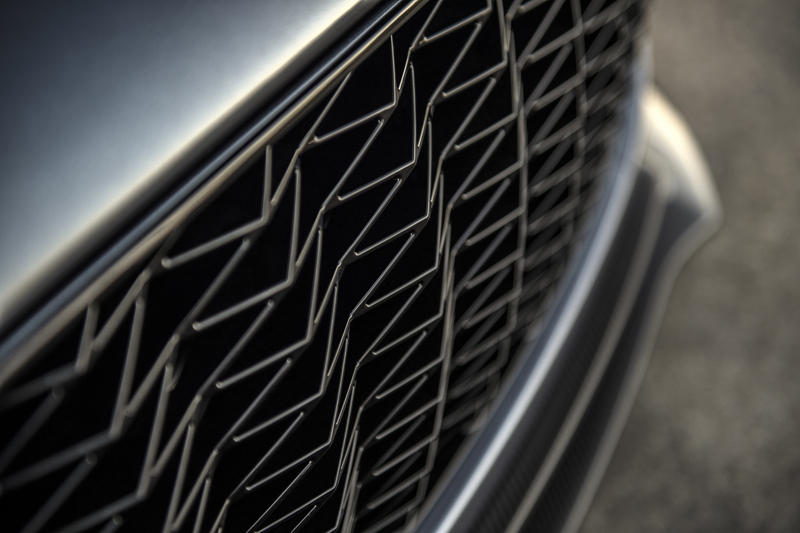 As with any Zagato creation, it is the unique styling that takes centre stage. As with the Coupe and Volante editions, the two new additions to the Aston Martin Vanquish Zagato family are clad in carbon fibre body panels and will, thanks to their unique form, represent some of the most coveted cars in Aston Martin’s contemporary line-up. 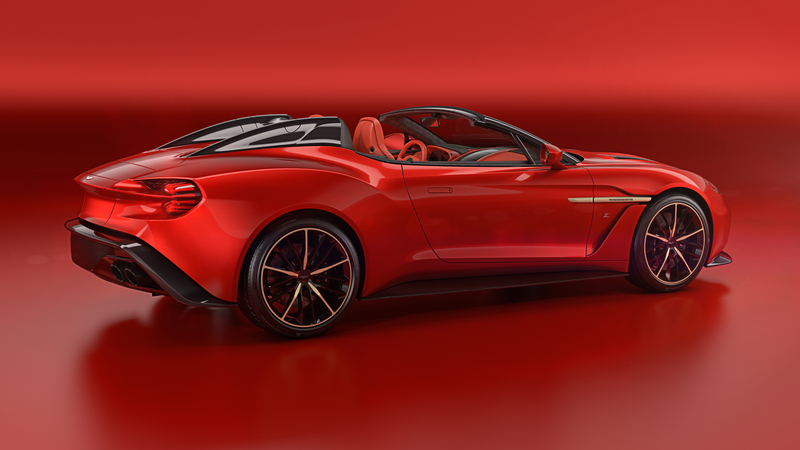 Without a roof on which to incorporate their signature ‘double bubble’, the Vanquish Zagato Speedster is instead bestowed with two ‘Speed Humps’, a pair of streamlined cowls behind the driver and passenger seats. 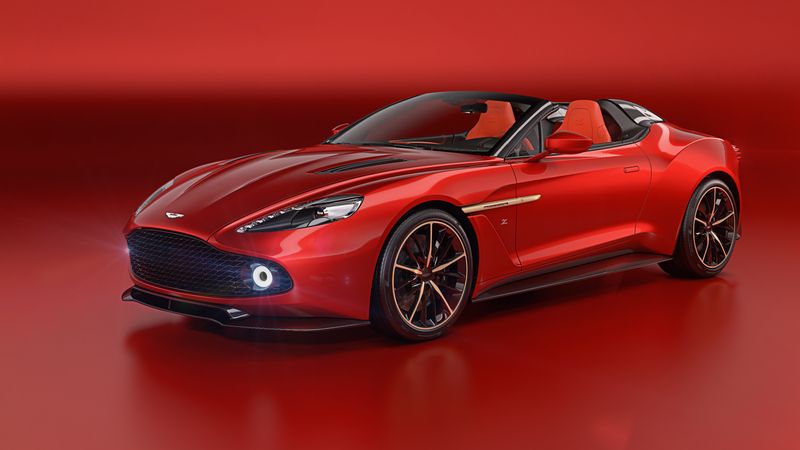 Like the other cars in the newly-expanded Vanquish Zagato family, the Speedster gets a set of bladed tail lights – inspired by the Aston Martin Vulcan – as well as front and rear grilles comprising of a repeated ‘Z’ motif. Unlike the idiosyncratic open-top Speedster, the Aston Martin Vanquish Zagato Shooting Brake (undoubtedly inspired by the coachbuilt DB5 and DB6 Shooting Brakes built by Radford in the 1960s) embodies a more practical GT car, albeit one still with only two seats. Inside, the Shooting Brake version of the Vanquish Zagato is set to get a herringbone-patterned carbon fibre fascia and anodised bronze rotary cabin controls too. Of course, if you just can’t decide you could do as some of AM’s most prized clients have done and order one example of each. Which version of Aston Martin Vanquish Zagato would you choose? Join the debate over on our Facebook or Twitter pages now. How does 800hp and a 211mph top speed sound?